Stinky bogu is the number one turn off for my wife. 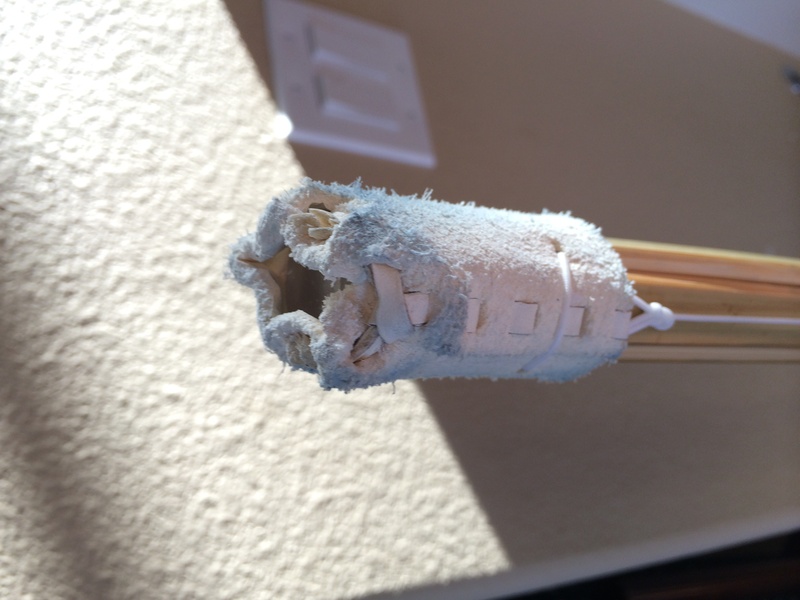 The same can be said for hockey equipment. Both get sweaty, may have leather parts, and stink if left wet in the gear bag. 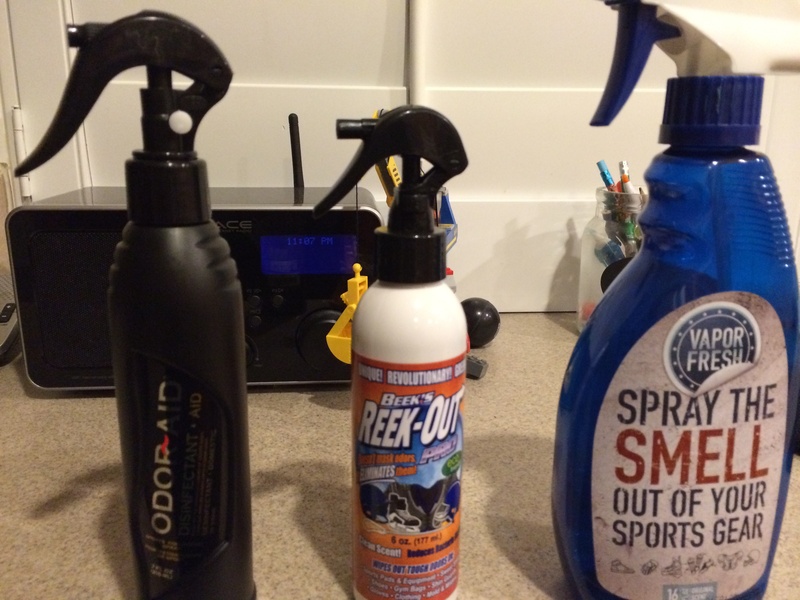 So with that in mind I decided to see if there were any hockey deodorizers available that could be used on bogu. Beek’s is mainly ethanol and a “secret formula” touted to get odors out and kill bacteria. Best sprayed on when wet. 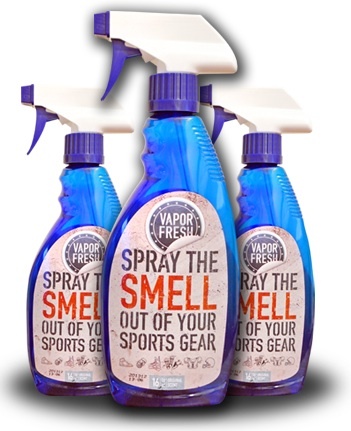 Vapor Fresh is touted to be all natural mix of water, essential oils, emulsifier and tocopherol. 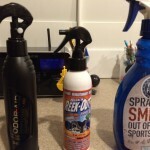 Beek’s smells like rubbing alcohol whereas vapor fresh smells like lemon and herbs. Finally Odoraid has the smell of flowers. Beek’s Reekout bottles seem too small and poorly constructed. The triggers tend to break in the bottles. Vapor Fresh bottle seems too big but will last you a longer time than the others. Odoraid has a nice grip on the neck of the bottle and I haven’t broken the trigger yet. 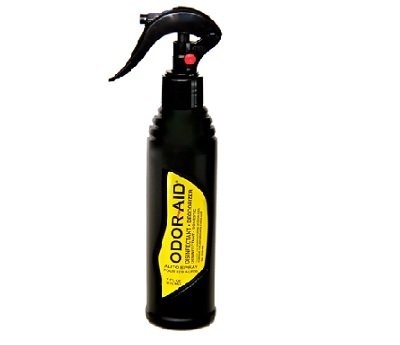 Overall I prefer the smell of Odoraid. It’s floral but sporty bouquet smells much better than Vapor fresh. Do they really work? 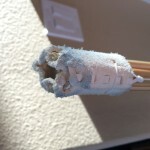 In terms of eliminating odors 100%, not so much. Overwhelming odors…yes.